In the movie, what state did Ralph Parker and his family live in? In what decade did the movie take place in? What was the name of Ralph's younger brother? The movie was based on the stories of what author? What type of car did Ralphie's father drive? Who plays the main character, Ralphie? What arrives in a box marked 'fragile'? What Christmas Carol did the Parkers sing in the car? When Ralphie used his decoder pin to reviel the secret message, it said to be sure to do what? What Grade does Ralphie get on his theme essay? Where does Ralphie's younger brother hide when he is scared? Who is the bully who terrorizes Ralphie and his friends? Ralphie had a number of daydreams in the movie. Which of the following daydreams was NOT in the movie. What Street did Ralphie live on? What Costume does Ralphie put on on Christmas? 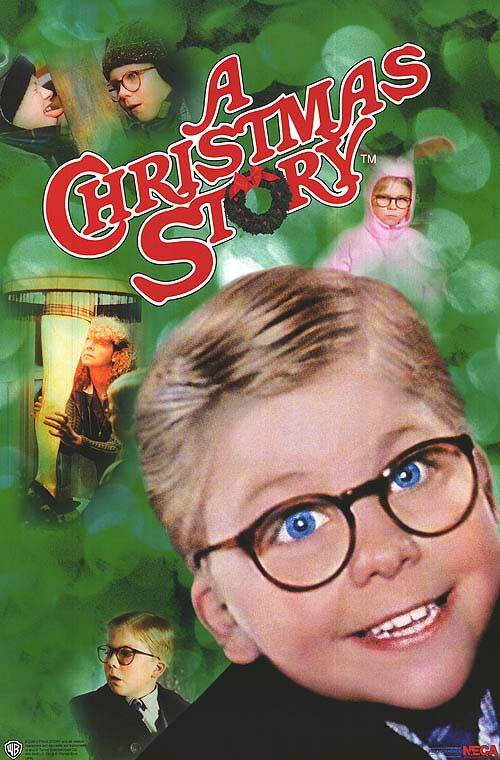 What Christmas Gift does Ralphie's mother give to his father? What happens to the Parkers' Christmas Turkey? What do the Parkers eat instead of the turkey on Christmas? What Movie Genre Do You Belong In? What Movie Is Really About You? Here's A Fun Game Where You Guess The Movie!